STF advocates for the trees/canopy that we value, but have forgotten about. 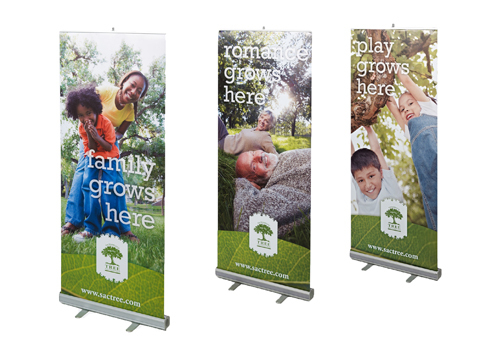 We began helping STF to refine their brand in the mid 2000’s, and Della has been on the Board since 2007. 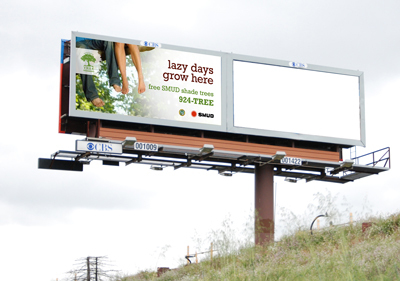 She loves helping them tell about how our region thrives with a healthy tree canopy. 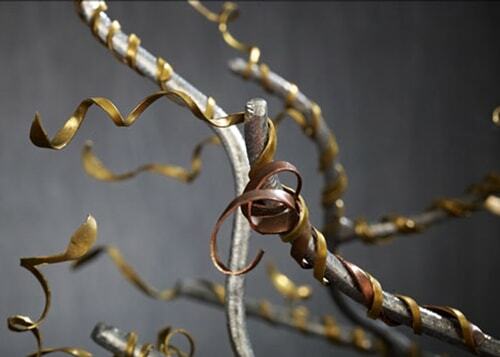 This project began with STF thinking that it would be a metal tree to hang on the wall host’s home, possibly with cutout paper leaves bearing the donor commitment. 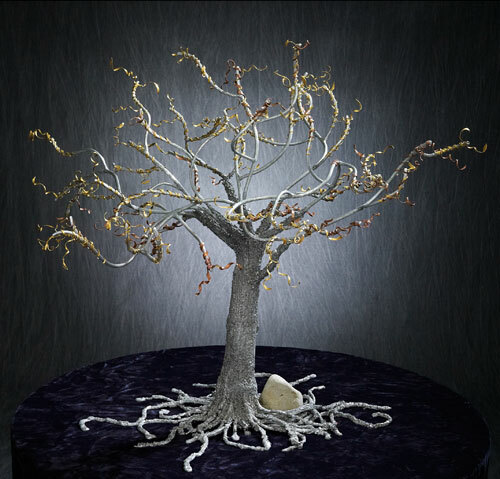 Since the available wall trees were dorky, and the idea of finding wall space in the home was challenging, we reshaped the idea to become a freestanding sculpture. We found, and worked with a local sculptor, co-conceiving the artistic design, and project specifications— like balance, hanging spots for paper leaves, and portability. The science behind the importance of trees, particularly in the Sacramento region, has been known for years, and yet, presenting the facts wasn’t doing much to ‘move the needle’ of understanding and action. 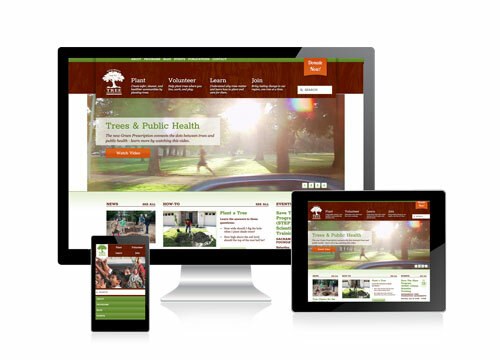 By rebranding STF’s outreach materials (brochure, scrolling panel displays, web pages) to emphasize people-and-trees, the message breadth increased, and the message focus deepened. The wider mindset has shifted how STF presents itself and its mission, which, not directly related, has helped STF get AB32 ‘cap and trade’ funds to do community development and plant trees in under-resourced neighborhoods. 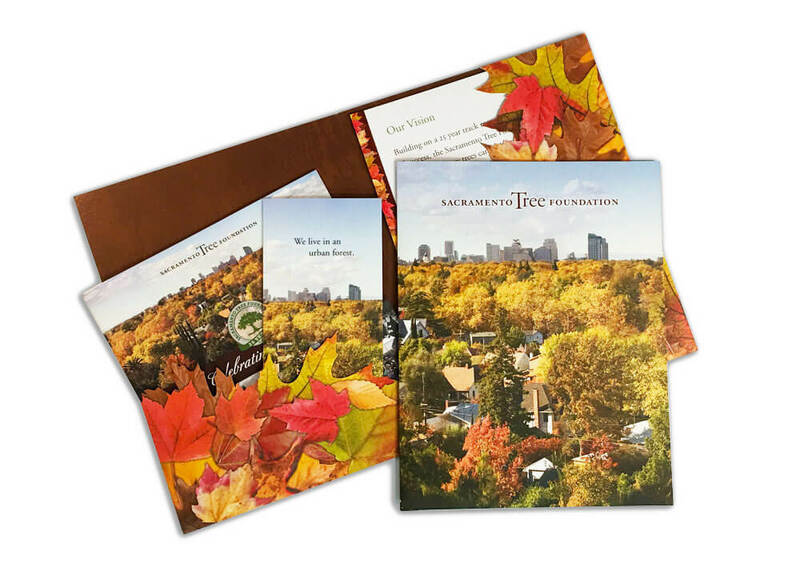 We created this stunning folder, with the downtown canopy on the front and back cover, and included inserts with benefits-specific information covering energy use, economic and property values, water savings and health. 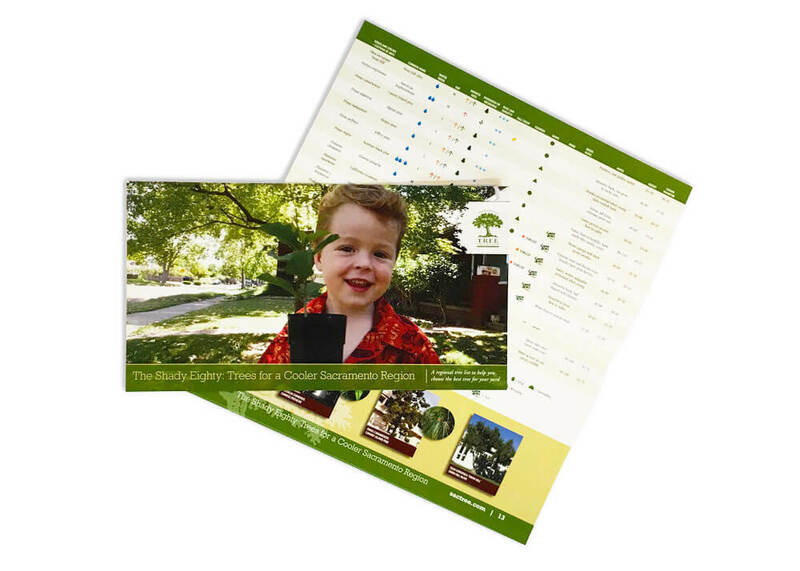 The scientific importance of increasing the tree canopy in the Sacramento region was articulated starting in the early 2000s, and STF embarked on a plan to echo the SACOG ‘Blueprint’ process — by naming this the ‘Greenprint Campaign’. 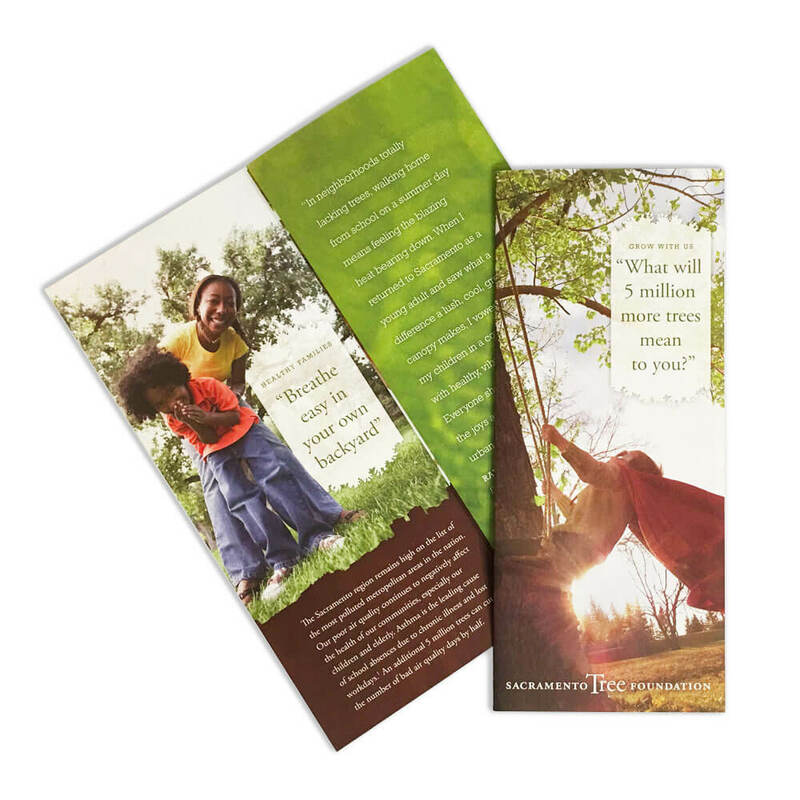 We designed materials (folder, inserts) that educate and advocate for trees. As STF’s capabilities have evolved to provide a semi-annual regional conference, consulting and funding guidance, so too have the message and materials, customized for each jurisdiction offering.